First off, I feel I have to disappoint you all. 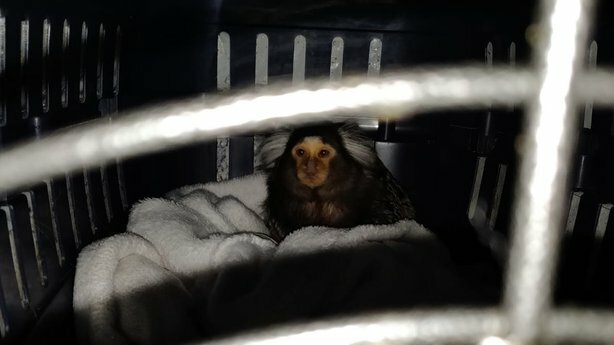 I'm sure some of you may have clicked into this article, in a frenzy of excitement, under the assumption that a monkey, in possession of machine guns and loaded up to its furry gills on cocaine, was apprehended by Gardaí. The monkey in question, was neither - and presumably has never - been in possession of cocaine and guns. Rather the monkey was residing in a cage and was seized in the raid alongside the guns and drugs. The raid was carried out on Ratoath road and involved some fifty officers from Finglas and Blanchardstown, as well as members of the Armed Support Units. 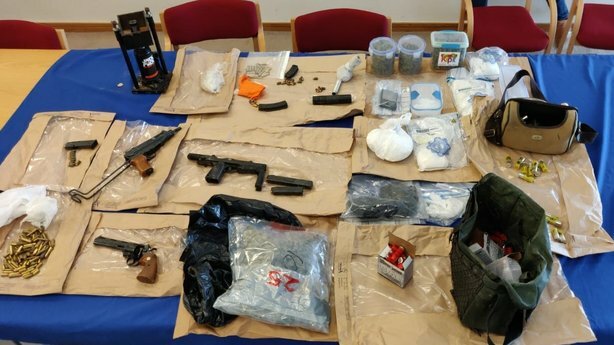 They recovered two machine guns, a pistol and some 200 rounds of ammunition. They also recovered some €100,000 worth of cocaine and cannabis. They also recovered the, now infamous, monkey in a cage. Dublin Zoo have denied claims that they've taken the monkey into their care, it is currently in the care of the DSPCA. Three people were arrested, two men aged 30 and 40 as well as a woman in her 30s.